CMAT 2018 Result is releasing on 15th February 2018. 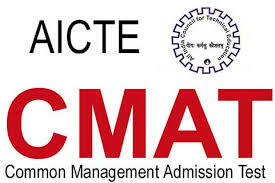 All India Council for Technical Education (AICTE) organizes the CMAT 2018 (Common Management Admission Test) across the country. CMAT is a national level examination which is organized for providing admission into management courses (PGDM, MBA, PGCM, Executive PGDM, etc.). 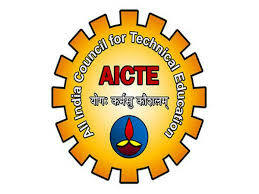 All AICTE-Approved Institutions, colleges & universities consider the CMAT scores for providing admissions. CMAT exam is an online computer based test has been conducted on 20th January 2018. Here we are providing details about CMAT 2018 examination, including answer key, result, admission, etc. The result is providing to students on 15th February 2018. Students can check the result via online mode through the website. The CMAT score will be valid for the admission to the academic year of 2018-2019. Students are advised to take the printout of the CMAT Result and keep it safe till the admission process gets finished. The counselling process will be started after the declaration of merit list. A merit list will be prepared according to the marks obtained by the candidates in the entrance test. Candidates can appear in the counselling organized by various institutions and universities on the basis of CMAT score. Candidates have to bring the required documents and fees at the time of counselling. Seats will be provided to students on the basis of CMAT scores, filled choices and availability of seats. Qualification: Students must hold a graduation degree in any stream from any recognized college or university. Appearing Candidates: Students appearing in the final year of graduation whose result will be announced before the commencement of admission they can also apply. Duration:The exam duration will be three hours (180 minutes). Exam Mode:The exam will be organized in online mode (computer-based test). of Question:There will be total 100 questions asked, 25 questions from each section. Type of Question:The question paper will comprise of objective type questions. Marking Scheme:Four marks will be provided for each correct answer (+4 maks). Negative marking:One mark will be deducted for each wrong answer (-1 maks). There is not any fixed syllabus is prescribed for CMAT examination. The syllabus will have various topics from Quantitative Techniques & Data Interpretation, Logical Reasoning, General Awareness and Language Comprehension. Equal questions will be asked from each topic. Students should prepare for the exam from these topics. Find out all the details about the syllabusand prepare accordingly. Make a strategic planfor your preparation and follow it wisely. Prepare from the best books and study materialsavailable in the market or internet. Practice the mock test and previous year questionpapers it will help you to know more about the exam pattern. Mark the difficult topics and discussthem with your tutor or class fellows. Maintain your health, take nutritious diet and do exercise and yoga.